Lulu's Garden: Christmas Trees: Real or Fake? Christmas Trees: Real or Fake? An artificial tree is normally made from plastic which comes from oil which makes up for two thirds of its carbon footprint. A further quarter of its environmental impact comes from the industrial emissions when it is being manufactured. 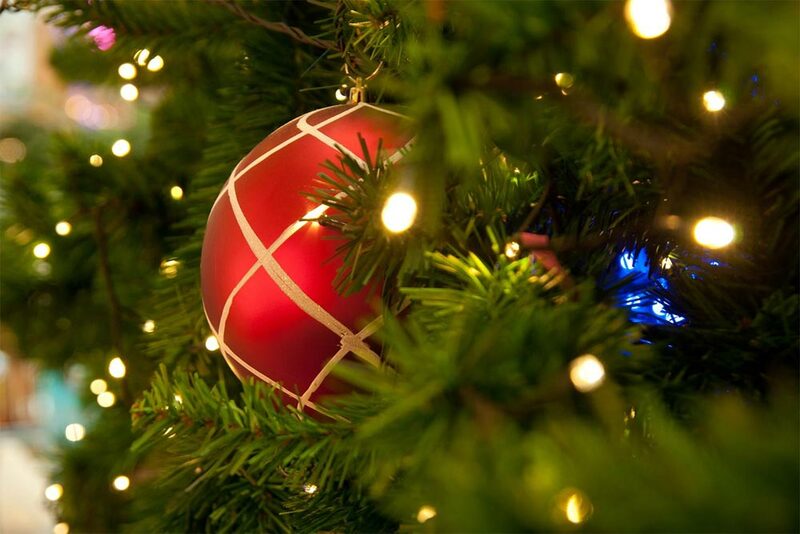 A 2m artificial tree has a carbon footprint equivalent of 40kg of greenhouse gas emissions. This is TWICE the level of a real tree which is disposed of in landfill. However if you choose a more environmentally friendly way of disposing of your tree such as burning it then a fake tree has TEN times more emissions. 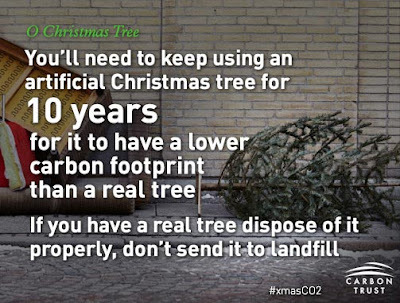 In other words, if you have an artificial tree you would need to re-use if for at least ten years before it became as good an option as a real tree. The way you dispose of your real tree is the most important factor. If you burn your tree on your bonfire, plant it or get it chipped it reduces its greenhouse emissions by up to 80%! Cost. They are normally less than real trees and can/should be re-used for many years. Ease. Just bring it out the attic each year and decorate it. Some even have lights already built in. Suitable in surroundings where real trees are not possible (hospitals, places were flammability is a big issue etc. No needles all over the floor. The look, texture and of course the smell! For us at Vialii Towers, real always wins. And we have a wonderful option for disposal thanks to our friends at KB Trees & Hedges. Kirk will collect your tree if you live in Stirling, Bridge of Allan or Dunblane for £10 and take it away and have it chipped. The chippings will then be used to make paths at local allotments. What could be better? If you are interested in this service then click here. If you need tips on what variety of real Christmas tree suits you best then read my blog all about it. Wishing you all a wonderful Christmas and many happy times around your Christmas tree, whatever kind you have.